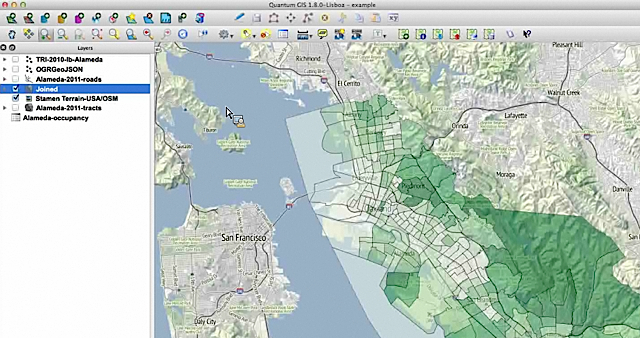 A view of Alameda census info over Stamen’s terrain map in QGIS. If you’re a novice mapper, tools like Google Fusion Tables (aka the WordPress of mapping) might make Quantum GIS look like rough terrain. QGIS is an open source powerhouse for mapping that has a number of advantages. It’s free (as in free speech) runs on Mac or PC and you can import shapefiles, coverage data plus any personal geodatabases you may have on hand. So get over yourself and try it, advised Len De Groot of Knight Digital Media Center in his recent online Intro to Data Mapping class.